Greenbelt, Maryland (Dec. 18, 2017) – Starting today, Dec. 18, 2017, in accordance with the Federal Motor Carrier Safety Administration’s (FMCSA) congressionally mandated electronic logging device (ELD) compliance deadline, inspectors and roadside enforcement personnel throughout the United States will begin documenting ELD violations on roadside inspection reports and, at the jurisdiction’s discretion, may issue citations to commercial motor vehicle drivers operating vehicles without a compliant ELD. “Today, jurisdictions around the country are implementing the ELD requirement,” said CVSA Executive Director Collin Mooney. “Enforcement personnel have been trained in anticipation of the ELD rule and now that it is in effect, inspectors will be verifying hours-of-service compliance by reviewing records of duty status requirements electronically. On April 1, 2018, inspectors will start placing commercial motor vehicle drivers out of service if their vehicle is not equipped with the required ELD. The ELD mandate does not change any of the underlying hours-of-service requirements. Please note that a motor carrier may continue to use a grandfathered automatic onboard recording device (AOBRD) until Dec. 16, 2019. The AOBRD must meet the requirements of 49 CFR 395.15. For more information on the ELD rule, visit FMCSA’s ELD implementation website. WASHINGTON, DC – The U.S. Department of Labor’s Occupational Safety and Health Administration (OSHA) will continue accepting 2016 OSHA Form 300A data through the Injury Tracking Application (ITA) until midnight on December 31, 2017. OSHA will not take enforcement action against those employers who submit their reports after the December 15, 2017, deadline but before December 31, 2017, final entry date. Starting January 1, 2018, the ITA will no longer accept the 2016 data. WASHINGTON, DC – The Occupational Safety and Health Administration (OSHA) and the National Association of Women in Construction (NAWIC) recently renewed their alliance to continue promoting safe and healthful working conditions for female construction workers. The five-year alliance will focus on hazards of particular concern to women in the construction industry, including personal protective equipment selection, sanitation, and workplace intimidation and violence. NAWIC, formed in 1955, provides educational and professional development opportunities to more than 4,000 women working in construction. PHOENIX – It happens in an instant. An overhead message board flashes, “ALERT, WRONG-WAY DRIVER AHEAD.” Or headlights suddenly appear on your side of a divided roadway. What you do before and during these and other situations involving wrong-way drivers, most of whom are impaired, can increase the chances of avoiding a potentially fatal collision. No matter the time of day, drivers should drive defensively. That means being constantly aware of driving conditions, your surroundings and anticipating dangers so you can take evasive action if you encounter a hazard, such as a wrong-way driver. Don’t tailgate. Leave enough space so if the vehicle in front of you makes a sudden lane change to avoid a wrong-way driver, you’ll have time to react, too. Be aware of your surroundings. While wrong-way drivers are often in the left or HOV lane, they enter highways from the right via off-ramps. Because they are often impaired, their movements are unpredictable. If you’re on a divided highway – like I-17, SR 51, US 60 or any freeway in Phoenix and all interstates – and you see a vehicle coming toward you, slow down by easing your foot off the gas. Make sure there’s no vehicle next to you and steer away from the wrong-way driver. Get to a safe place, call 911 and report the wrong-way driver. If you see that message, safely move toward the nearest highway exit on the right side of the highway as soon as possible. Have a plan in mind, so if you encounter a wrong-way driver you won’t waste a moment that could save your life. And never let an impaired driver get behind the wheel. Most wrong-way crashes are caused by impaired drivers. It’s up to all of us to keep impaired drivers off our roads. More information on “Drive Aware, Get There” can be found at azdot.gov/wrongway. MSHA Webinar: Politics vs. 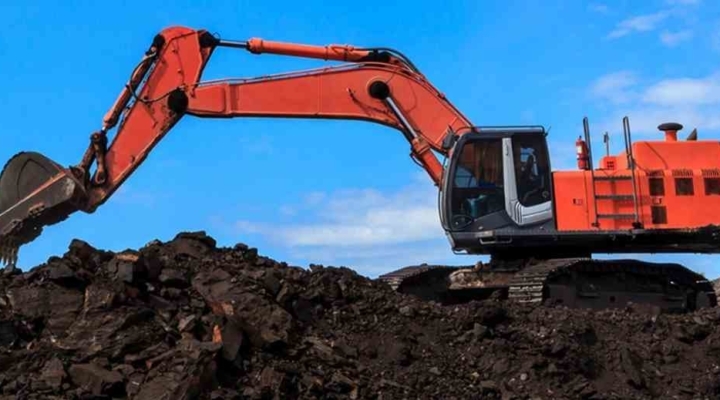 Reality – Which Factors Will Likely Drive MSHA’s Enforcement Narrative in 2018? The Trump Administration is attempting to “Make America Great Again” by stimulating a depressed coal industry and promoting large scale infrastructure projects across the country. Our 60-minute presentation will discuss the regulatory temperament mine operators might expect from the Trump Administration in Washington as well as the challenges mine operators may experience when politics and reality cross in terms of MSHA regulation and enforcement. 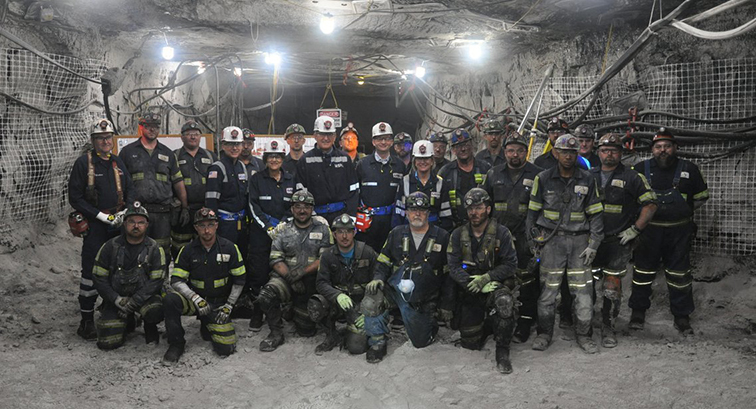 U.S. Labor Secretary Alexander Acosta visits miners in West Virginia. McCraren Compliance congratulates Steve Trussell for his expanded role which now includes Executive Director of Arizona Mining Association. Check out the link below for the interview of Steve Trussell with Mike Conway of Arizona Mining Review. ARLINGTON, VA – The U.S. Department of Labor’s Mine Safety and Health Administration (MSHA) today announced its annual Winter Alert campaign, reminding miners and mine operators of the increased hazards that colder weather creates at both surface and underground coal mines. – Know the mine’s ventilation plan and maintain ventilation controls. – Continually apply rock dust to prevent the propagation of an explosion. – Check highwalls and benches for stability. – Examine vehicles for exhaust leaks and consider limiting engine idle time to reduce risk of carbon monoxide asphyxiation. – Remove snow and ice on roadways, and apply sand to maintain traction.